Less than a week after Osama bin Laden, the mastermind of the Sept. 11, 2001, terrorist attacks, was captured and killed by a U.S. strike force in Pakistan, security on the region's railroads has been tightened with the revelation that bin Laden and his al-Qaida cohorts may have been plotting attacks on U.S. railroads. Bin Laden was scheming how to hit the United States hard again, the Associated Press reported Friday, with a plot that could have involved derailing an American train on the 10th anniversary of the 9/11 attacks later this year. The AP said the train-attack scenario was some of the first intelligence gleaned from information found in bin Laden's compound in Pakistan when Navy SEALs killed the al-Qaida leader and four others Sunday. In southwestern Connecticut, uniformed police on Friday were using scanning devices to screen passengers' luggage and bags on the trains. And patrol teams, many accompanied by bomb-sniffing canines, were in evidence both at depots along the New Haven Line as well as on the trains themselves. 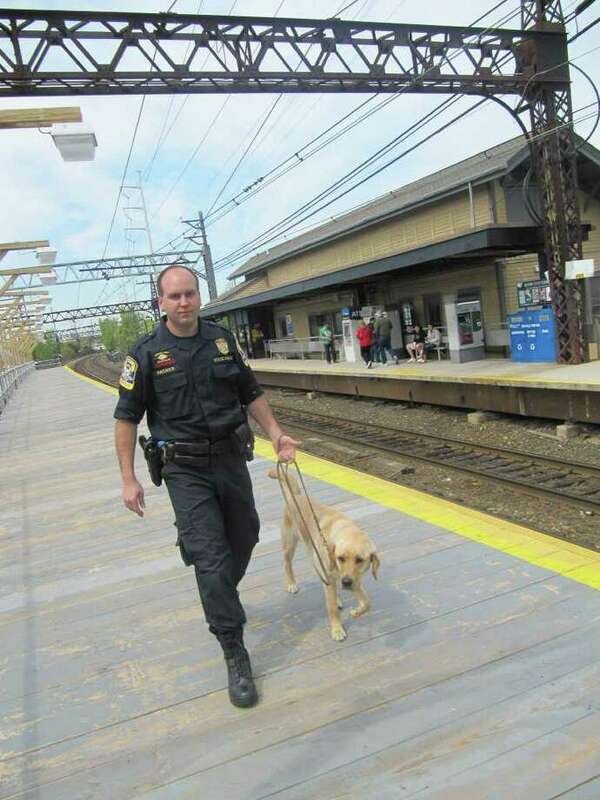 State Police Trooper 1st Class Mark Packer was combing the parking lots of Fairfield's downtown railroad station on Friday, with the help of "Regis," an explosives-sniffing, golden retriever-yellow lab mix. But Packer said the security patrol was not directly linked to the death of bin Laden and fears over terrorist retaliation. He is part of a new five-member team of state troopers, known as the Mass Transit Security Team, whose job is to patrol trains, ferries and buses across the state. The group began its duties April 26, nearly a week before bin Laden was killed. "We've been here periodically," said Packer, standing on the station platform as an Amtrak Acela train whizzed by. "But now we are committed to the rails." Federal funds will pay for the program, headed by Sgt. Steve Ostroski, for its first three years, while state funding will cover the final two years, according to Packer. Previously a resident trooper in the small town of Marlborough, Packer said his new assignment it's a nice change of pace. He hops on and off the trains along the New Haven Line, while Regis checks vehicles in parking lots as well as passengers' bags on trains. "The daily commuters on the trains are very appreciative of seeing us," said Packer. "They are glad we're out there in public view." Packer said he and other members of the Mass Transit Security Team are also helping to promote the national public-awareness campaign, "If you see something, say something," as a way to guard against terrorist attacks. He also noted a uniformed officer and a dog not only are a good deterrent against terrorism, but for "any type of criminal activity that can occur."